MasterCard is preparing to launch a next-generation of credit card that will feature an LCD display and built-in keyboard. According to an ITProPortal.com report, the new card will be unveiled in Singapore this coming January, with plans for global rollout set for later in 2013. 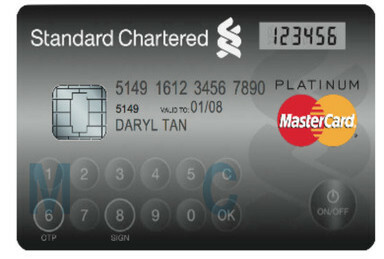 Accompanying MasterCard on the endeavor is Standard Chartered’s Asian branch and NagraID Security. 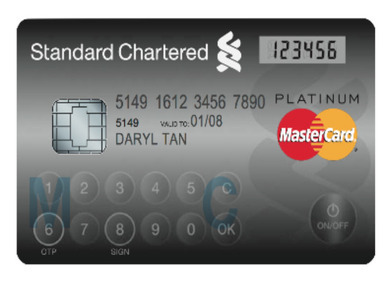 The MasterCard Display Card is designed to alleviate the burden of carrying portable card readers– commonly referred to as security tokens– to conduct a range of online transactions. The new cards will maintain credit, debit and ATM functionalities, but will also feature touch-sensitive buttons for inputting data and an LCD screen to show authentication codes. This will effectively make the card a dual functionality security solution. If initial efforts prove effective and are met with positive feedback, MasterCard will likely incorporate additional functionalities— displaying transaction history, balances, etc.— to the next-gen cards. In the mean time, this solution is by no means a substitute for the long-awaited NFC payments boom, as MasterCard are exploring options in that realm as well. 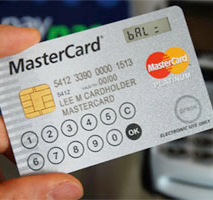 Read the full ITProPortal.com article for more information on the next generation of MasterCards.